Buckingham Palace with Victoria Memorial Since the accession of Queen Victoria in 1837 Buckingham Palace has been the official London residence of the British Monarch. 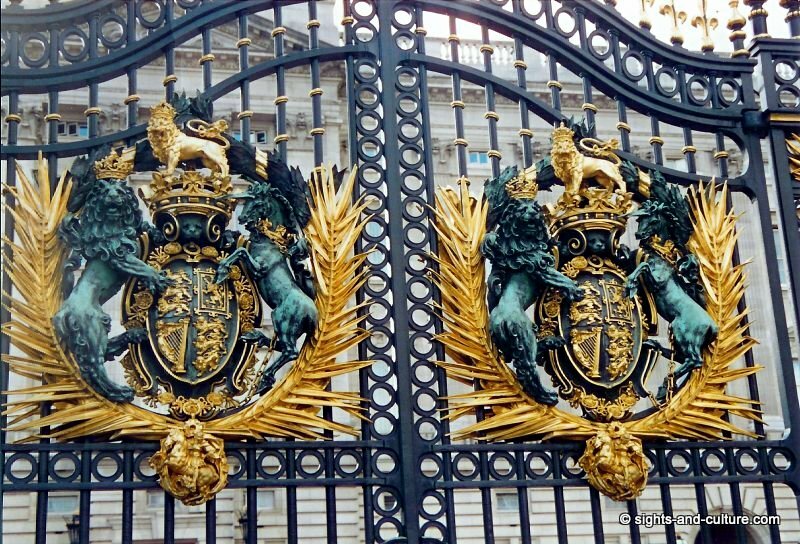 It is located in the municipal district of Westminster and is the monarch's administrative headquarters as well as the venue for the many official events and receptions, such as royal ceremonies, state visits, investitures etc. 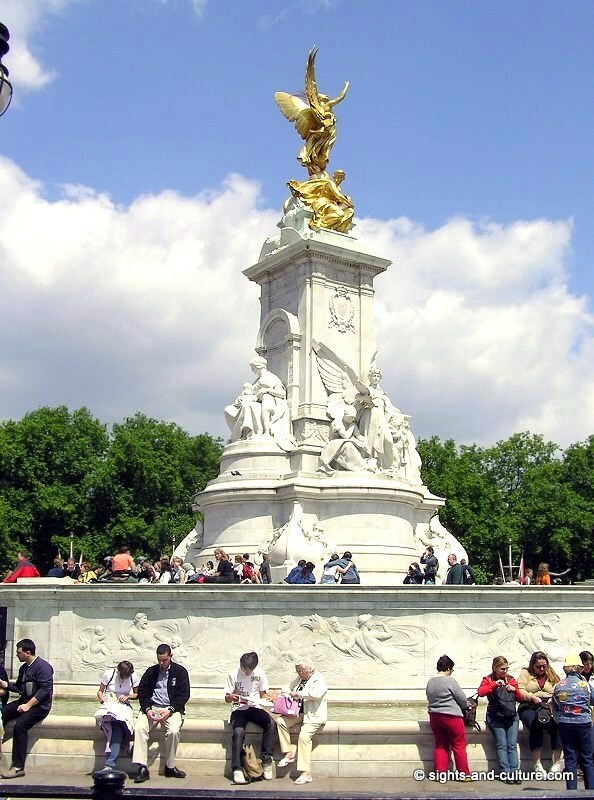 In front of the Palace there is the 26 m high Victoria Memorial, an imposing sculpture in white marble in honour of Queen Victoria. 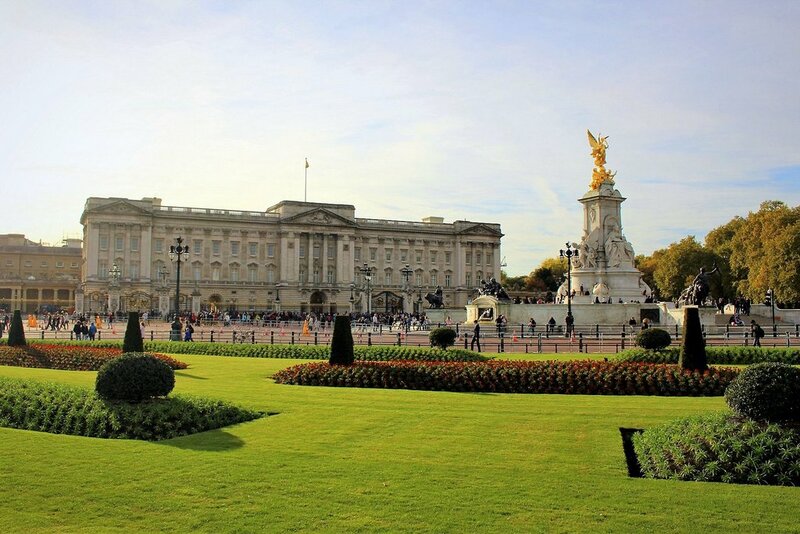 Buckingham Palace is furnished and decorated with priceless works of art that form part of the Royal Collection, one of the major collections in the world today. 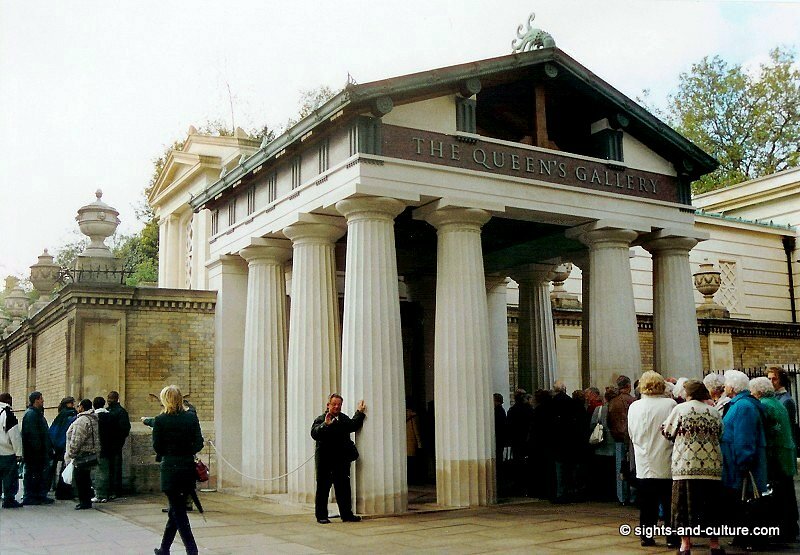 The architectural core of Buckingham Palace is the former Buckimham House, built in 1703. From 1762 the building has been extended and eventually modified into a palace with a facade in French neo-classical style. 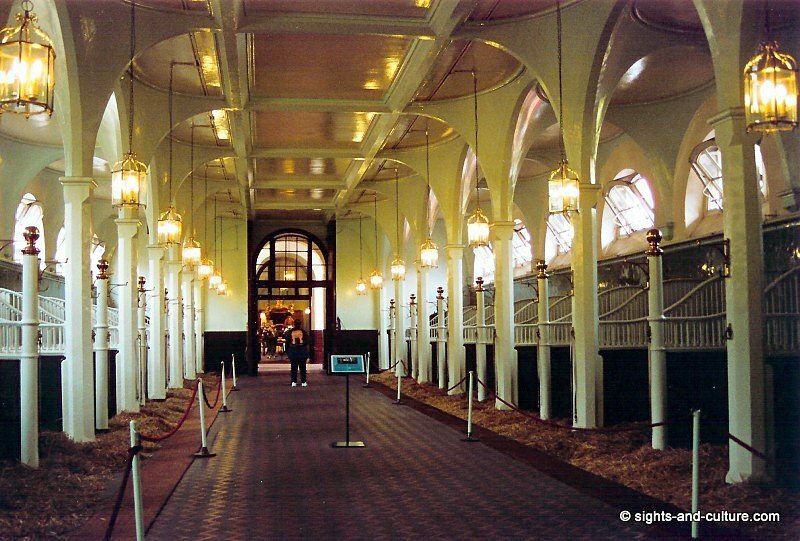 The palace has 775 rooms. These include 19 state rooms, 52 royal and guest bedrooms, 188 staff bedrooms, 92 offices and 78 bathrooms. 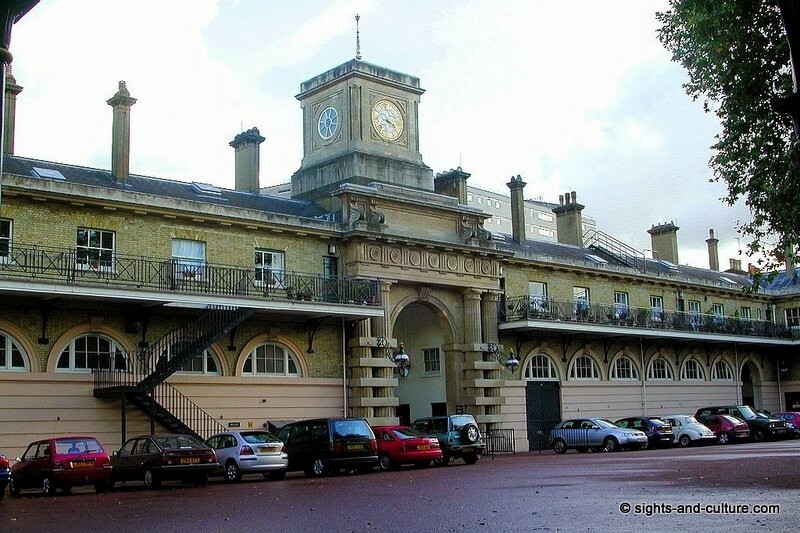 The building is 108 metres long across the front, 120 metres deep (including the central quadrangle) and 24 metres high. 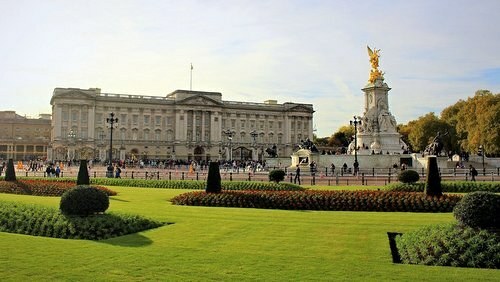 At the rear of the Palace is situated the Buckingham Palace garden, the largest private garden in London. 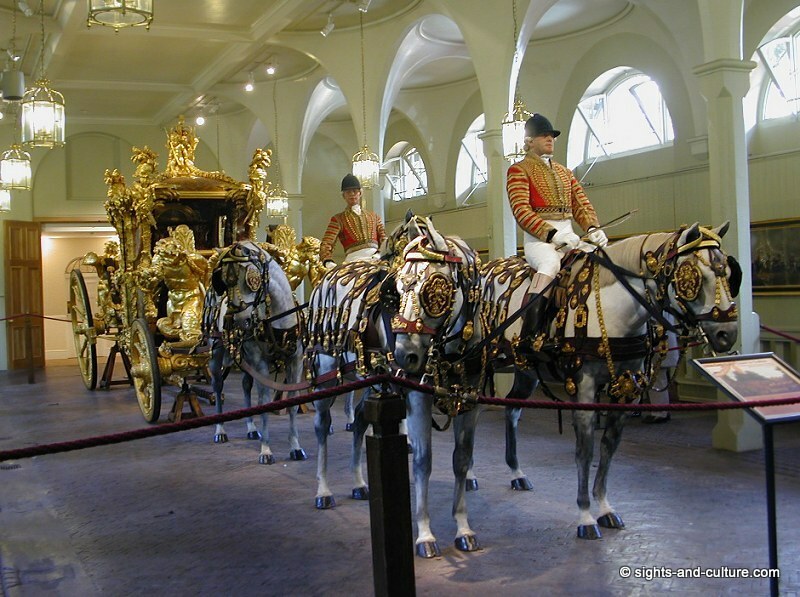 In the south of the garden there is the Royal Mews (stable), where the royal carriages and motorcars for the Queen and members of the Royal Family are housed, including the amazing gold state coach. 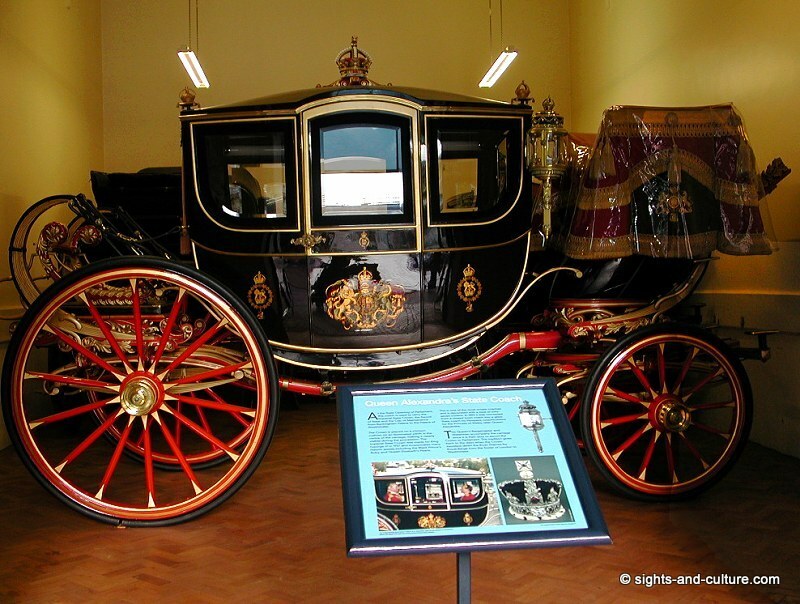 The state rooms at Buckingham Palace, the Queens Gallery (in which exhibitions from the Royal Collection are held) and the Royal Mews are open to visitors at special times, most of August and September as part of the palace's Summer Opening. 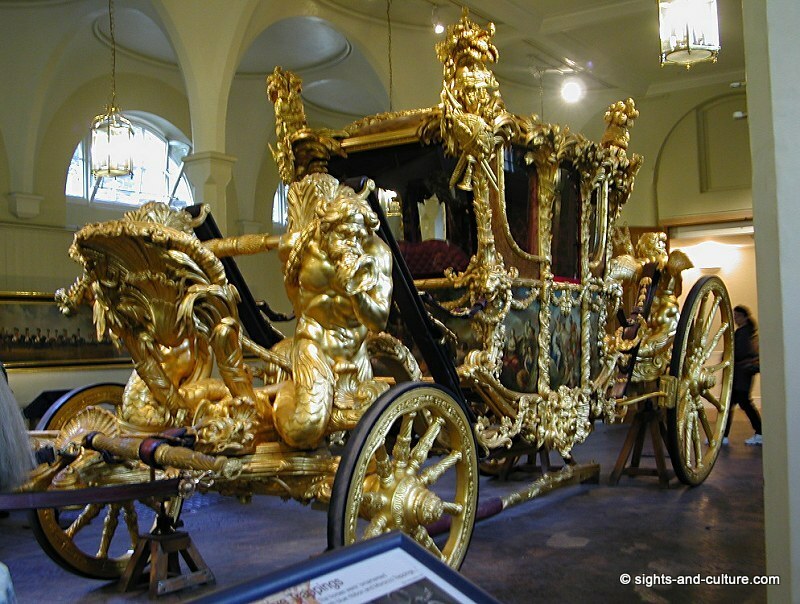 For visitor information please visit the Royal Collection website. 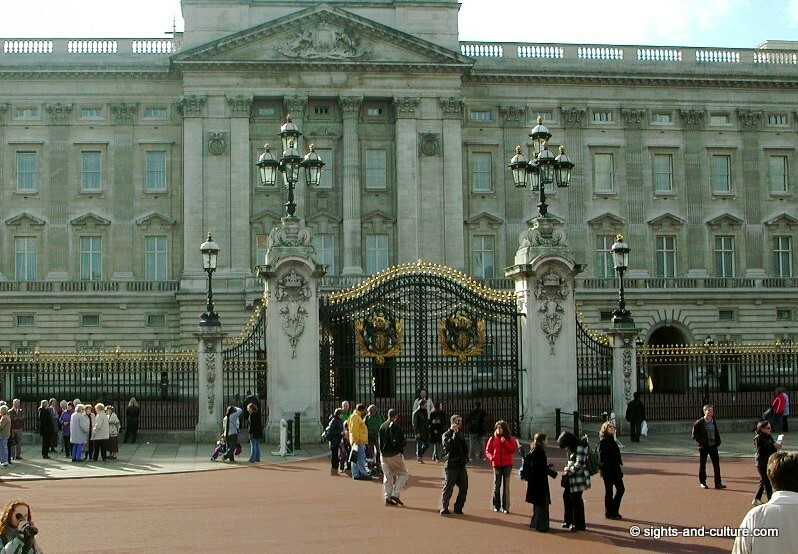 There are several guided tours like "A Royal Day Out at Buckingham Palace", which gives you admission to all three sights all day long. 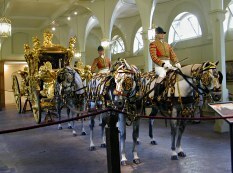 A very popular tourist attraction, which takes place at Buckingham Palace is the Changing of the Guard. 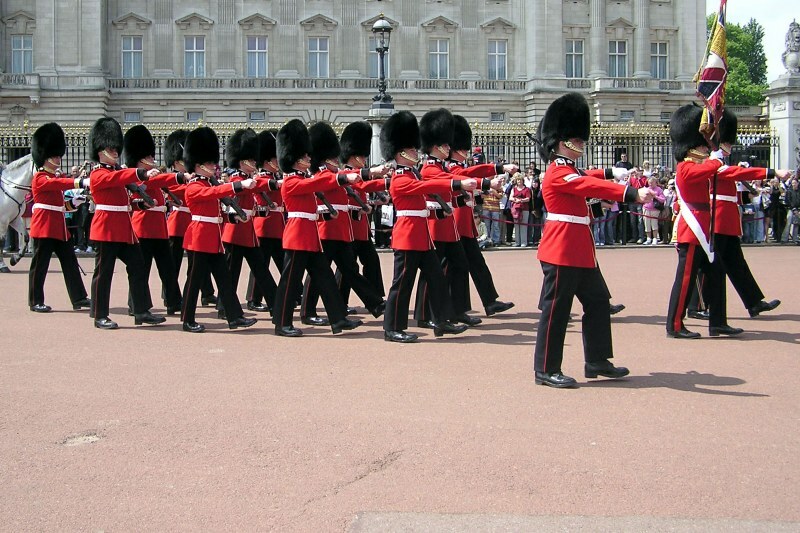 The Queen's Guard and Queen's Life Guard are the names given to contingents of soldiers charged with guarding the official royal residences in London. 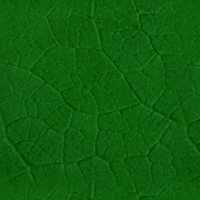 If you wish to know more, you'll find detailed information here.